The American Greyhound Council maintains an on-line library of international published scientific data on various research findings related to greyhounds. It includes material from scientific journals, books or proceedings. The research covers topics such as musculature, reproduction, orthopedics, injuries and repair, physiology, training and management, drugs, genetics, nutrition, behavior, diseases, and performance. Currently the database, now in its sixth edition, includes nearly 1,700 separate citations. It is edited by Drs. Linda L. Blythe and A. Morrie Craig, both internationally recognized veterinarians. 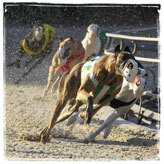 To access the International Greyhound Research Database on-line go toSearch.AgCouncil.com.